Emergency call-outs occurring after 10pm (or running past 10pm) will be billed at Double Time or more should it be a Statutory Holiday. 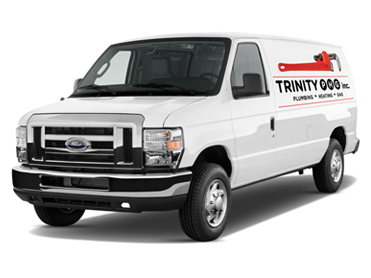 At Trinity Plumbing’s discretion, small jobs may be scheduled at regular rates. Any emergency call-outs will be charged at overtime. Will be added when disposables/incidentals are used: rags, garbage bags, glue, screws, etc. and is usually $25. ** Travel time will be billed as required. *** Rates are subject to change. **** Due to the very nature of drain/sewer cleaning and pre-existing variables including misuse, roots, broken lines etc. ABSOLUTELY NO GUARANTEE/WARRANTY is available on blocked drains and all charges will apply regardless of results. ***** Non-Account customers are required to provide deposit/full payment before commencing work.